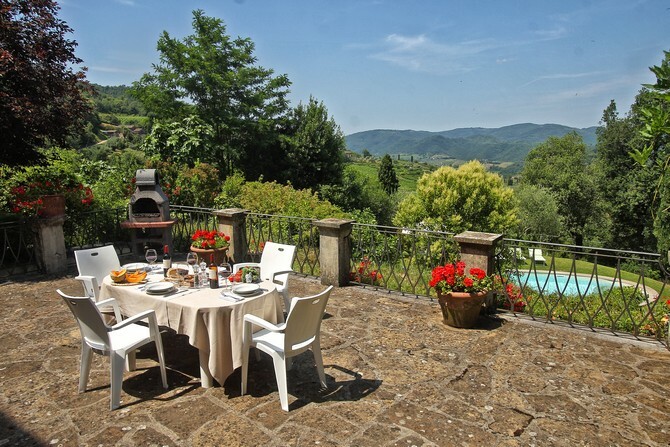 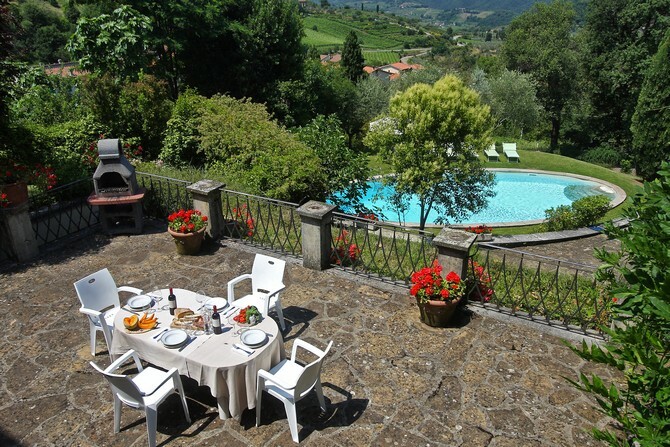 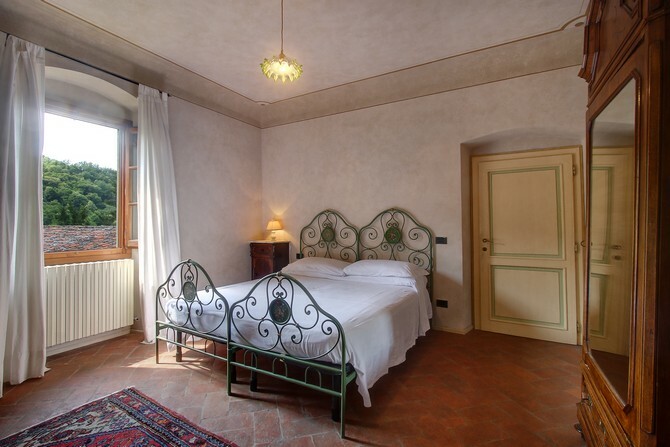 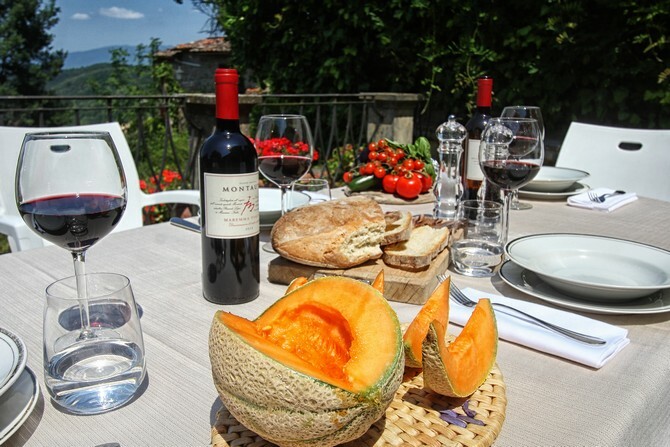 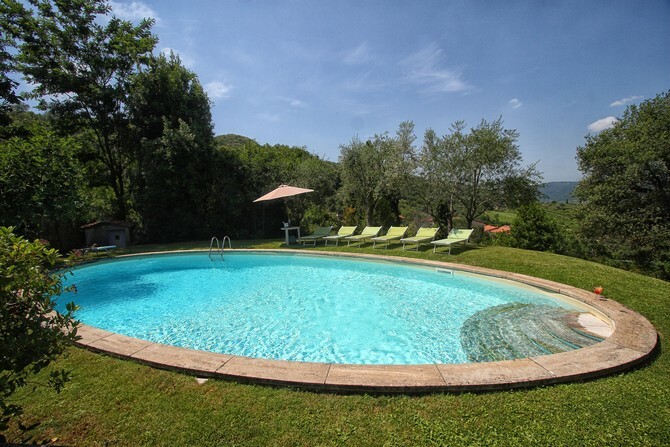 Perched on a green and forested valley of the Chianti, in the small picturesque village of Lucolena, sits Villa Luce, a comfortable country home with a private pool and open views from its raised terraces. The well-tended terraced gardens are planted with flowers typical of the Chianti area giving a fragrant aroma throughout. 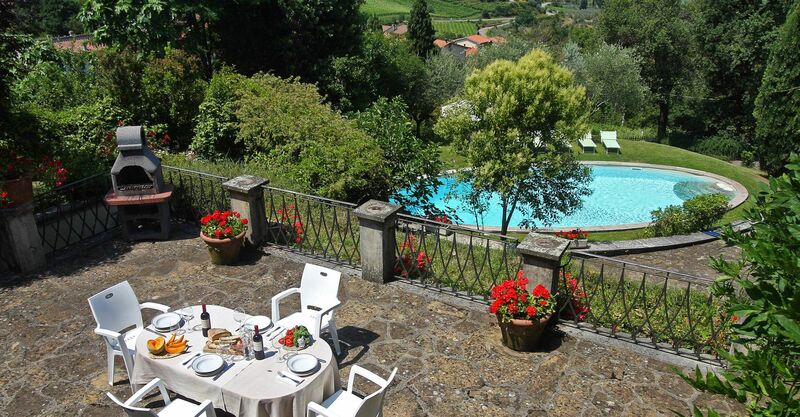 The garden leads down to the swimming pool. 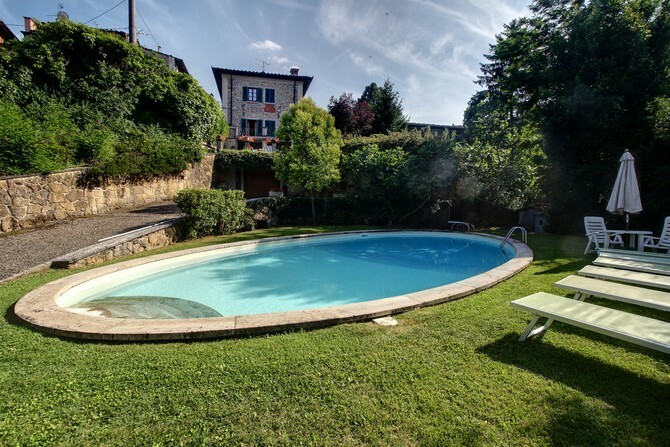 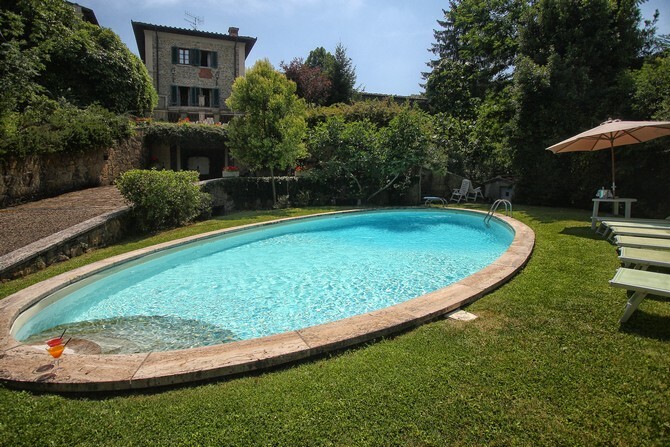 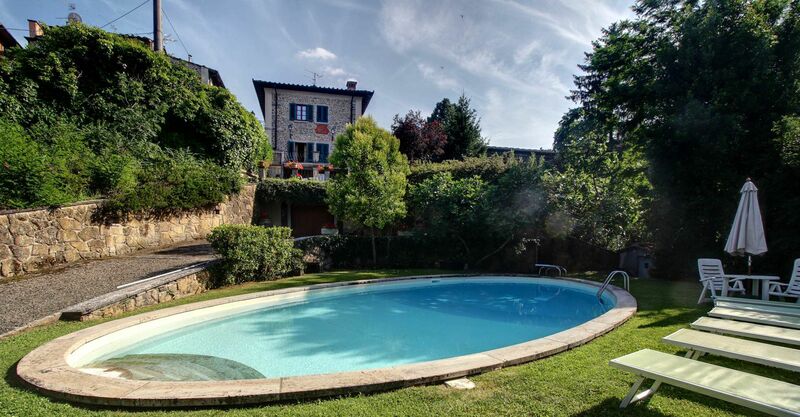 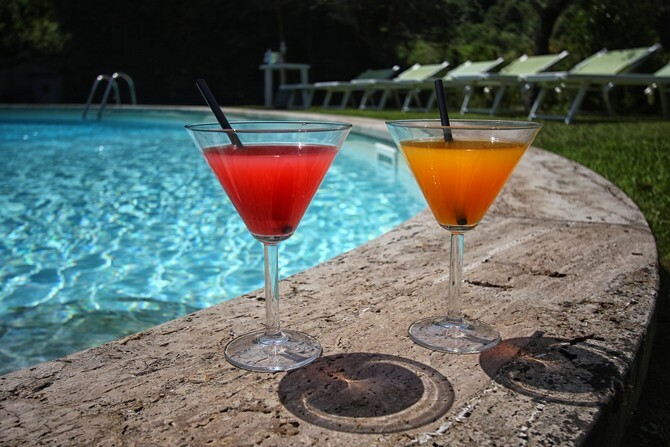 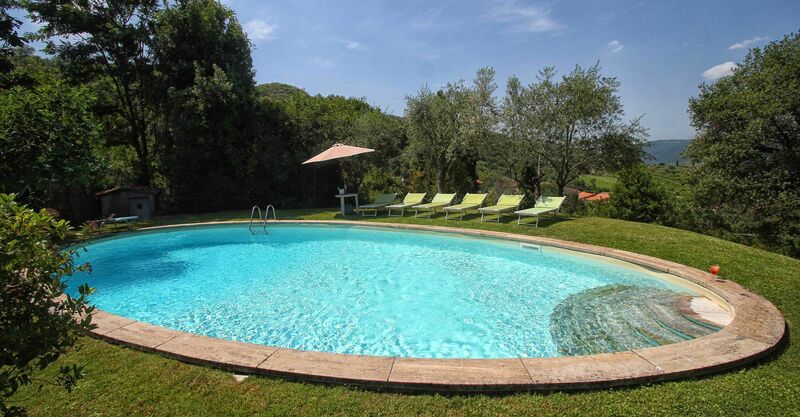 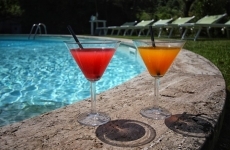 The swimming pool has been bordered in natural stone, which in turn is bordered with lawn to lend an ample area around the pool for relaxing in the warm Tuscany sun. 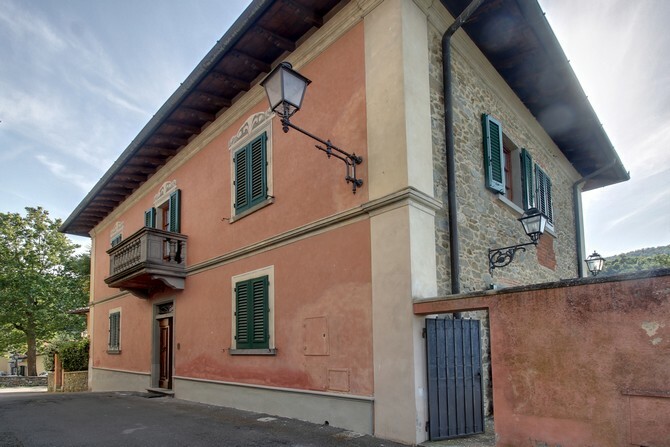 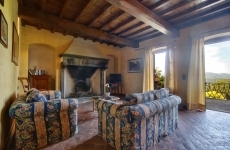 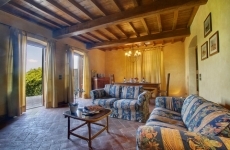 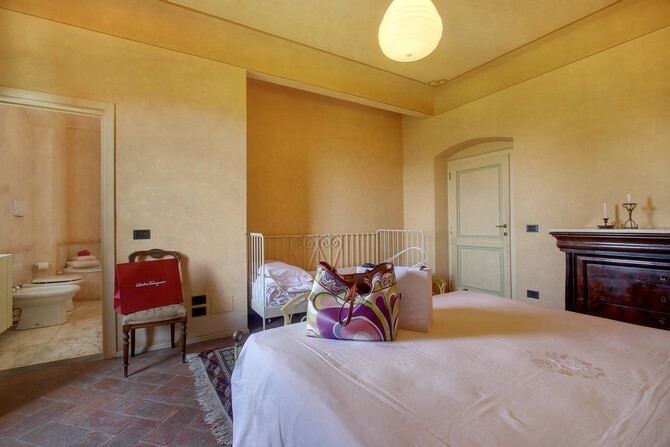 The villa has been beautifully decorated; the owner’s original intention was to use Casa Puliti for his own family country home. 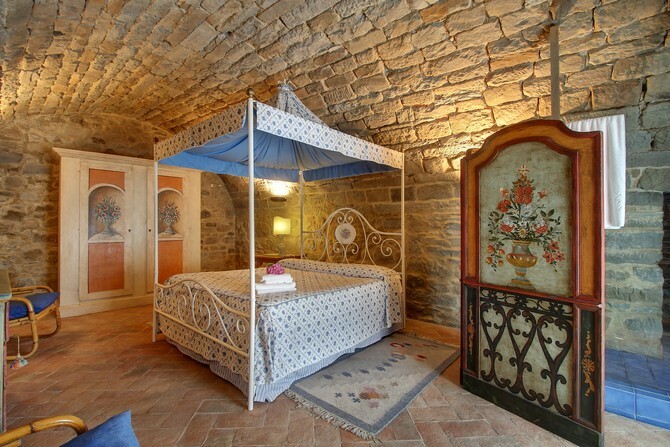 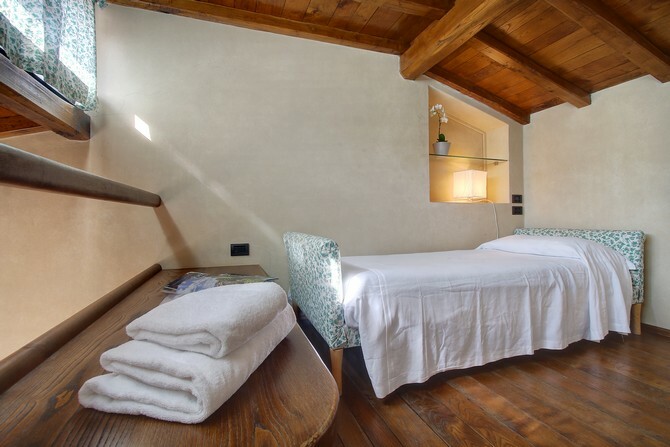 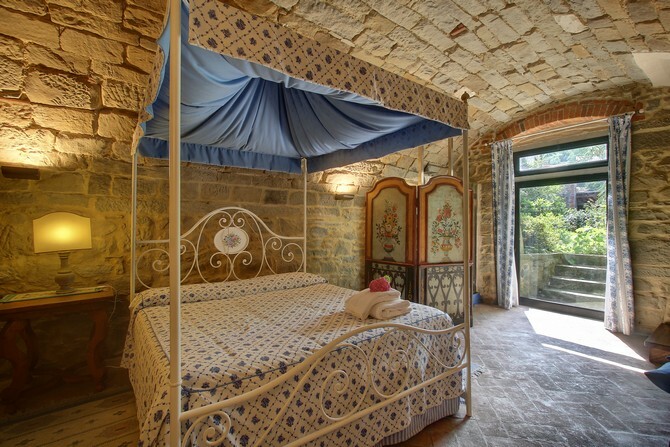 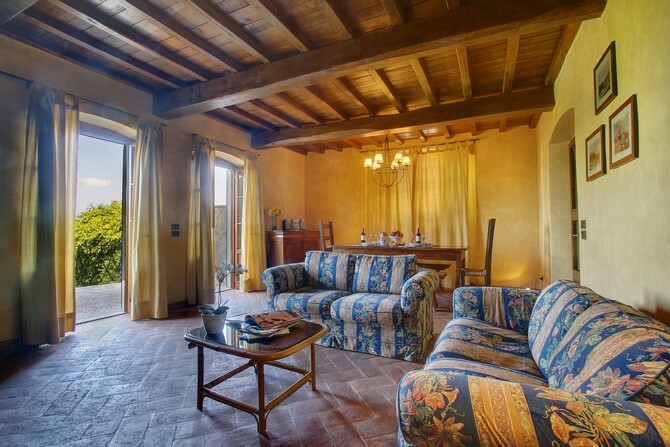 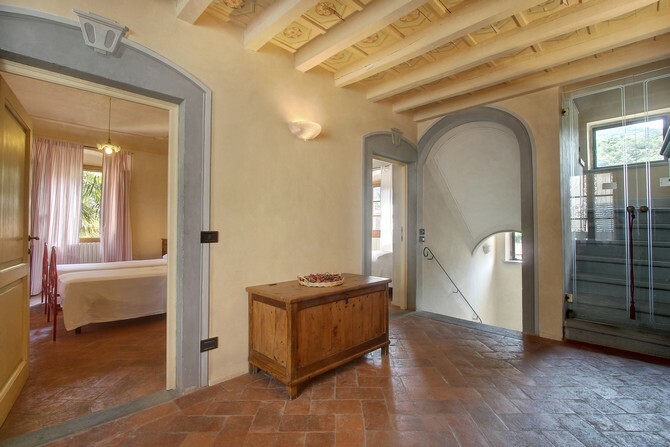 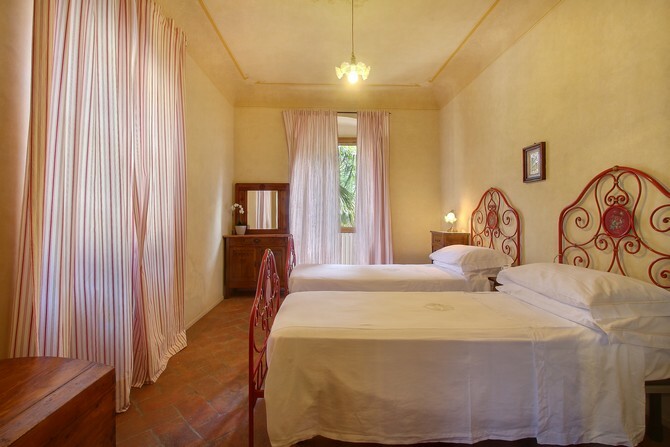 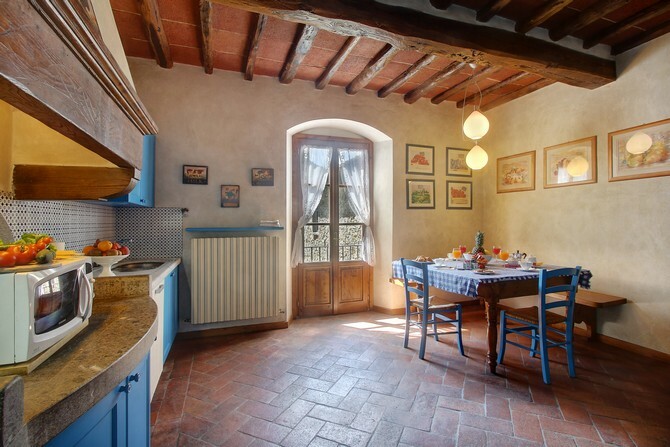 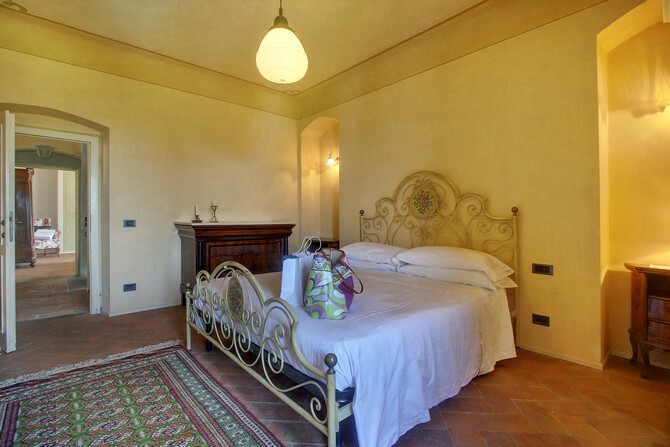 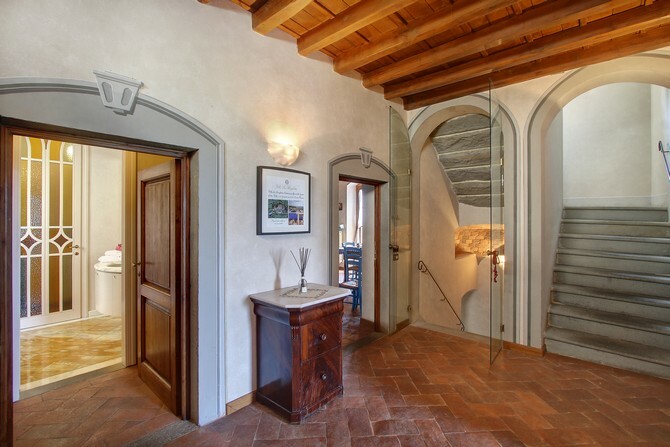 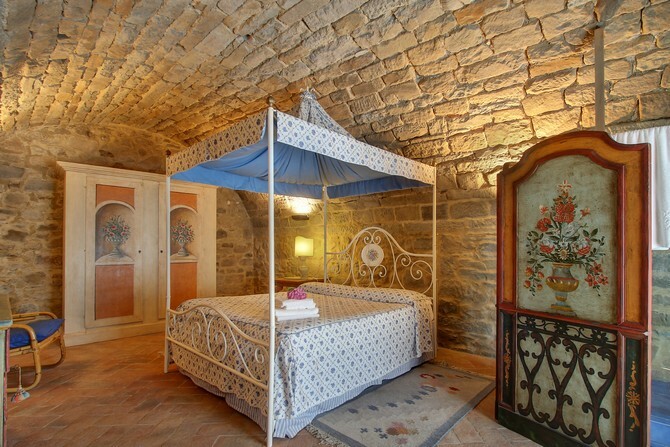 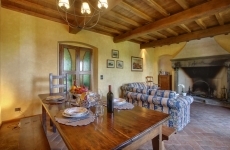 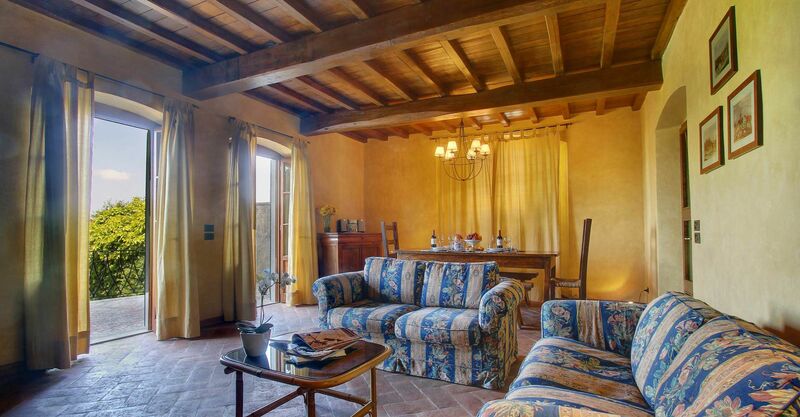 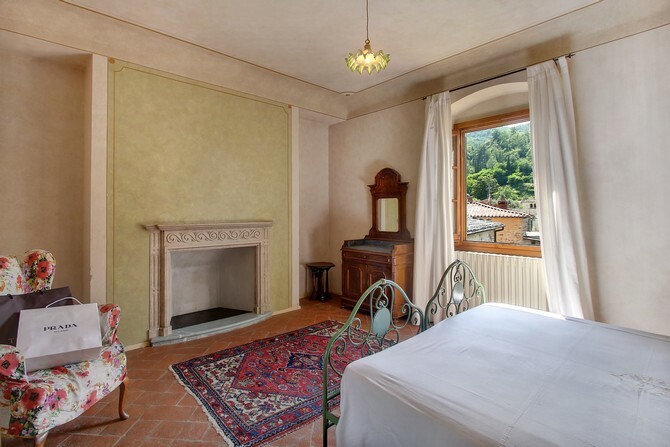 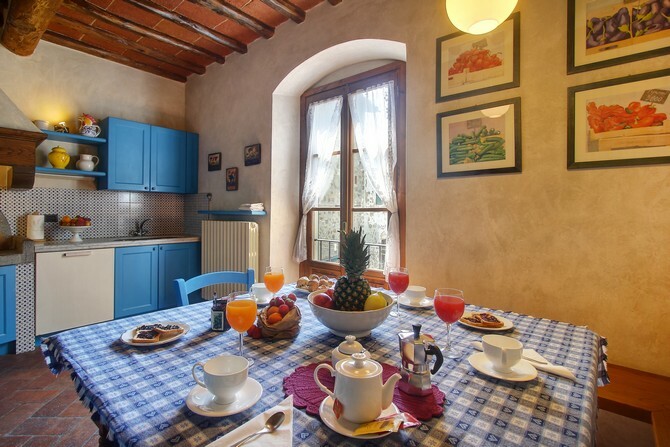 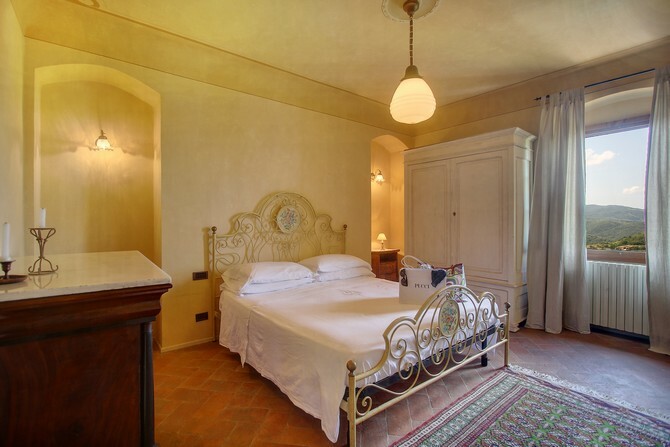 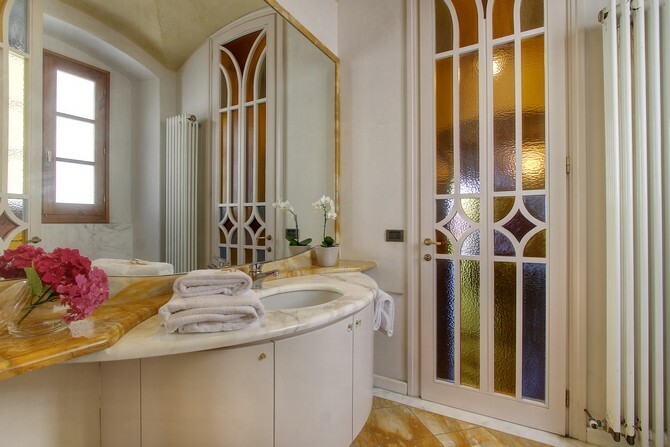 Some of the best features – the ancient wooden doorway, heavy wooden beams and terracotta floors – have been restored to their former glory, while the bathrooms have been finished in marble. 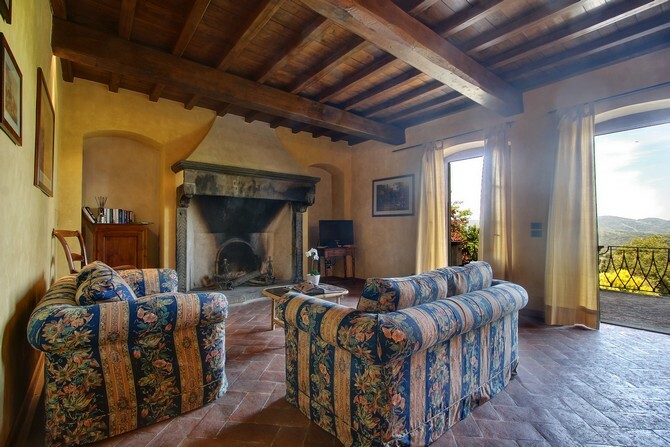 The living-dining room on the ground floor is comfortably furnished and boasts a large fireplace. 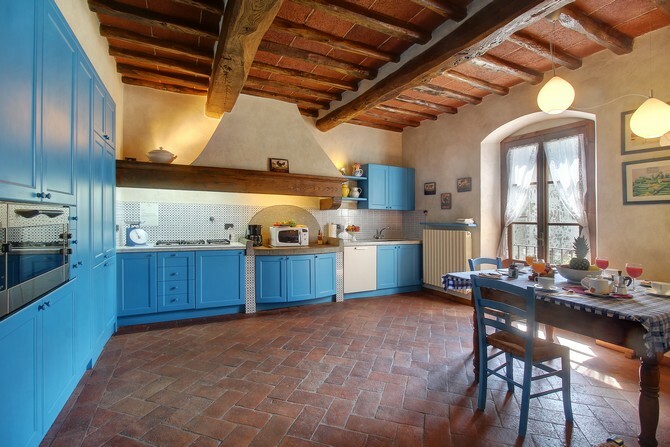 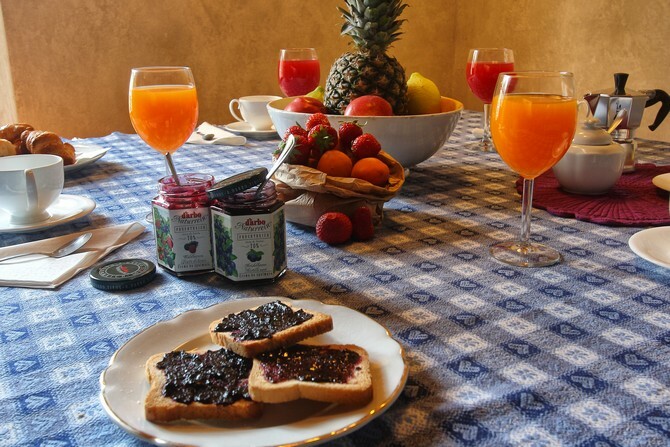 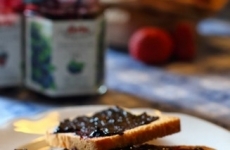 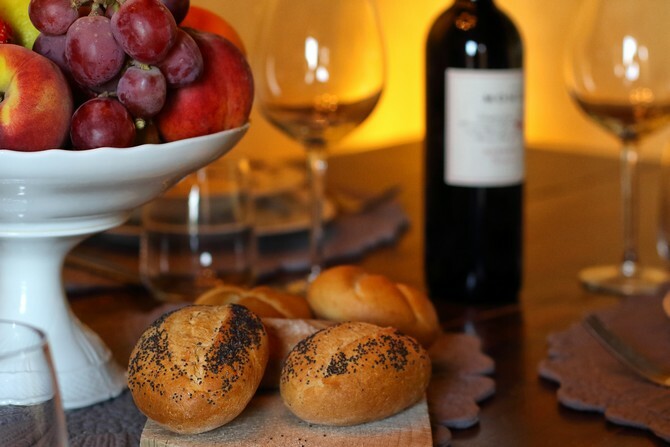 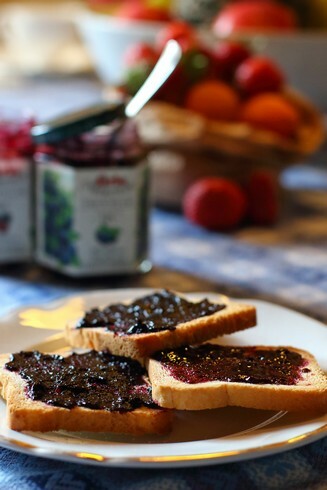 The spacious kitchen is well equipped with hobs, a large oven, fridge-freezer and dishwasher and washing machine. 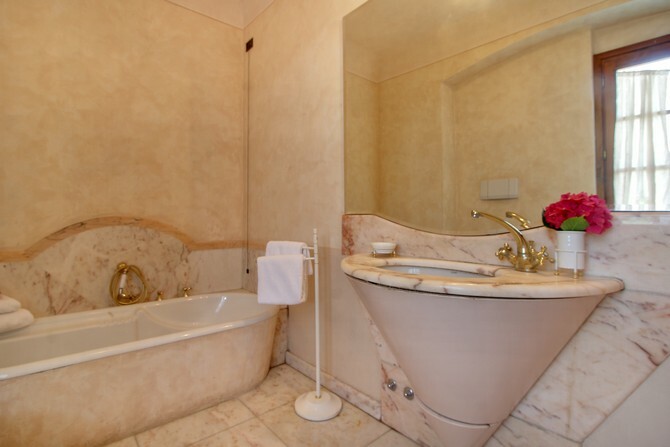 Also on the ground floor is a guest toilet. 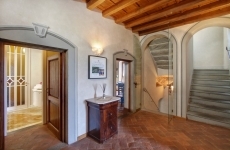 A central open stairway leads up to the first floor where there is one double bedroom with an ensuite bathroom and two twin bedrooms and a second bathroom. 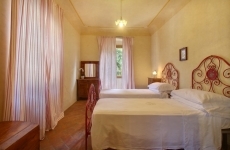 The twin bedrooms are spacious and have plenty of wardrobe space. 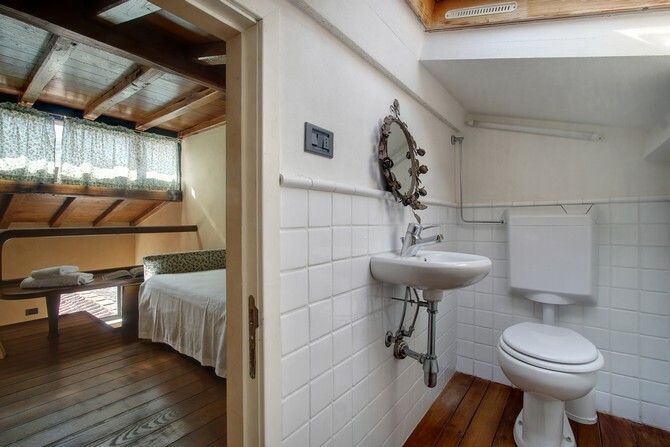 There is a single open bedroom on the second floor/attic conversion; there is a tiny toilet room with washbasin. 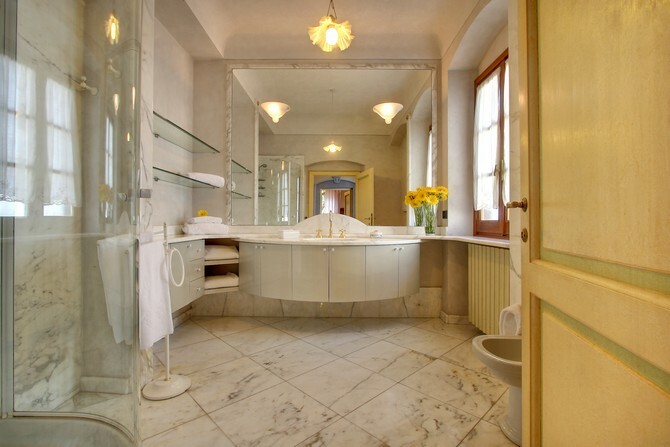 The bathrooms are all finished in marble, the ensuite bathroom has a bath tub and the other complete bathroom has a large shower. 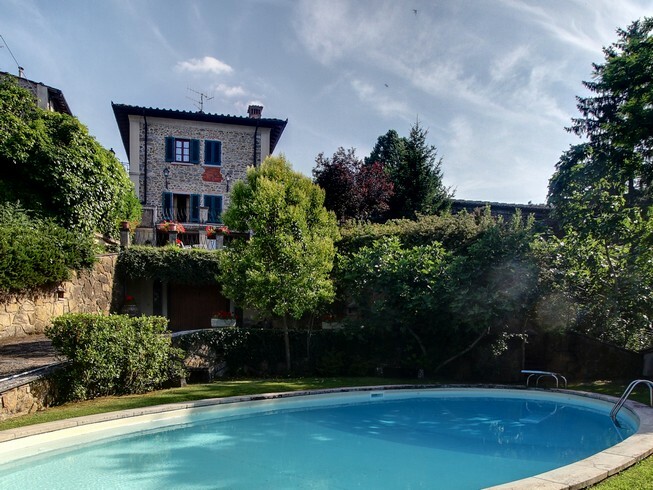 The size of the villa is 220 sqm.